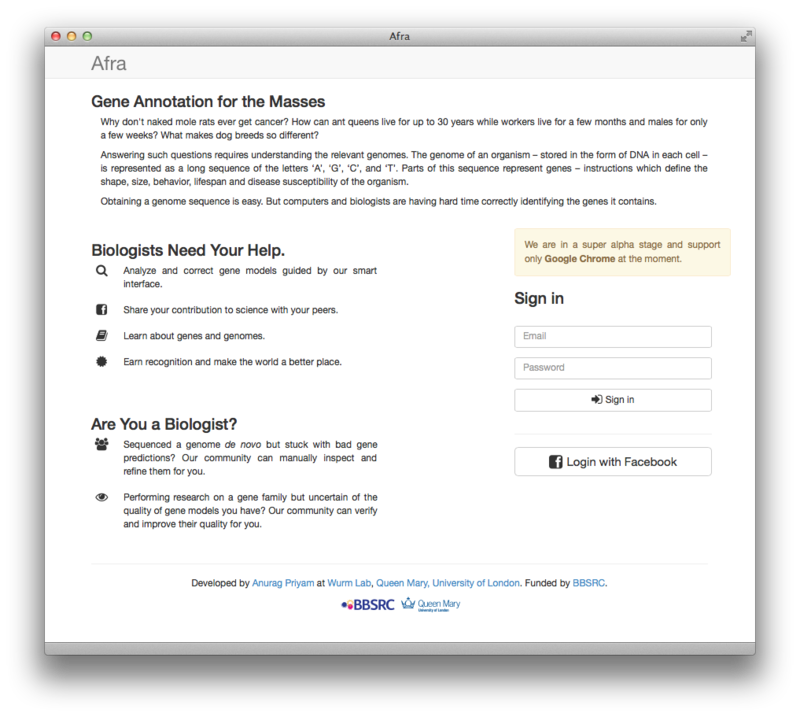 BLAST is the most commonly used bioinformatics tool. But setting it up for private data and using it is counter-intuitive. We developed SequenceServer to make BLAST easy to use. A Priyam, BJ Woodcroft, V Rai, A Munagala, I Moghul, F Ter, MA Gibbins, H Moon, G Leonard, W Rumpf, Y Wurm. 2015. Sequenceserver: a modern graphical user interface for custom BLAST databases. biorxiv doi: 10.1101/033142. Tool to identify problematic gene predictions based on comparison with gene predictions in public databases. Funded by NESCent Google Summer of Code 2013. MA Dragan†, I Moghul†, A Priyam, C Bustos, Y Wurm. 2016. GeneValidator: identify problems with protein-coding gene predictions. Bioinformatics, 32:1559-1561. Provides quick and simple Docker based virtual environments on Macs and compute clusters alike for reproducible bioinformatics. Funded by NERC Environmental 'omics (EOS) Cloud. 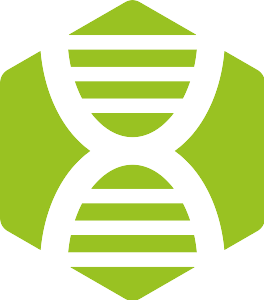 BBSRC-funded tool for crowd-sourcing curation of gene predictions. Beta. Used in Bioinforatics MSc course at QMUL. 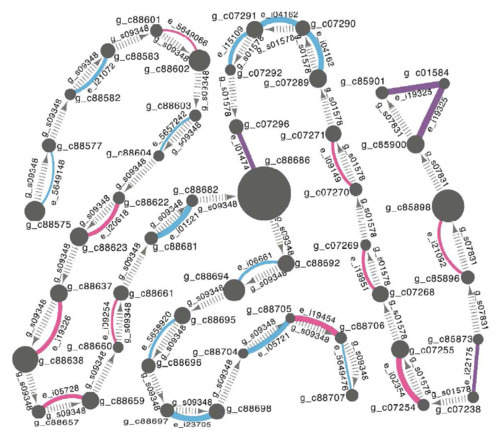 TGNet is a Cytoscape-based tool for visualization and quality assessment of de novo genome assemblies. Specifically it facilitates rapid detection of inconsistencies between a genome assembly and an independently derived transcriptome assembly. Developed by Oksana Riba-Grognuz. Used for fire ant genome project. O Grognuz, L Keller, L Falquet, I Xenarios, Y Wurm. 2011. 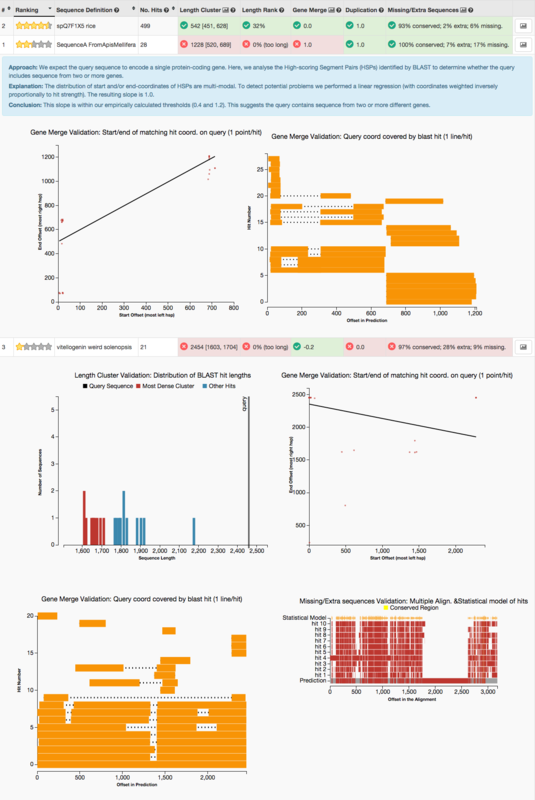 Visualization and quality assessment of de novo genome assemblies. Bioinformatics 27: 3425-3426. Community database centralizing genomic and transcriptomic sequence information for ants and related species (e.g., bees and wasps). Provides BLAST search and data download. Updated periodically with latest data and new tools. Y Wurm, P Uva, F Ricci, J Wang, S Jemielity, C Iseli, L Falquet, L Keller. 2009. 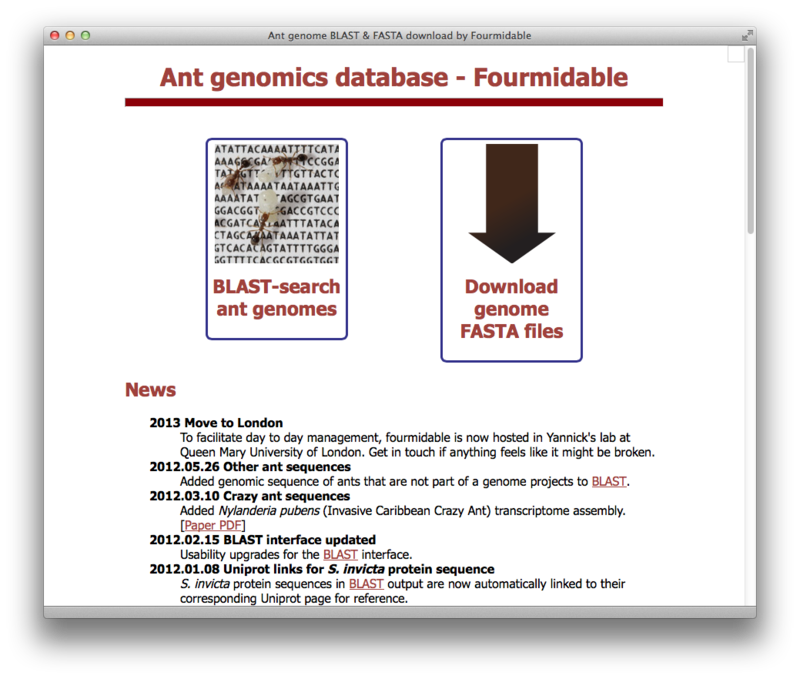 Fourmidable: a database for ant genomics. BMC Genomics 10:5. But we love quick and dirty hacks too .